If the child is without proper identification at the time he or she applies for a card, the library will issue the card with a three item checkout limit. The library will mail a self-addressed postcard to the child’s home address. When the child returns the card to the library the three item checkout limit will be removed. Law enforcement officials are generally required by law to obtain a subpoena or court order before gaining access to a patron’s library records. An exception to this requirement is found in the USA PATRIOT Act, which is a 2001 federal anti-terrorism law that gives law enforcement expanded authority to obtain library records, and secretly monitor electronic communications. These legal requests are extremely rare. For more information about your privacy, please see the SCLSNJ policy on the Confidentiality of Library Records. Are a Somerset County Library System employee or retiree. Volunteer in a Somerset County Library System facility. Work for Somerset County Government. 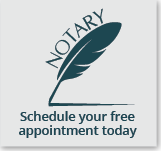 Are a resident of Somerset County with a disability. Are a literacy volunteer/student using an SCLSNJ facility for tutoring. Serve as a volunteer fireperson, auxiliary police officer, rescue squad member or emergency medical services member in a member municipality. If you do not qualify for a free card, you may purchase an annual membership for $200. Quarterly membership cards are available for $55. If you are age 65 or older, and you are a Somerset County resident who lives in a non-member municipality (Bedminster, Bernards Township, Bernardsville, Far Hills, Franklin, Raritan), you may purchase an annual membership for a special senior reduced rate of $50. These fees are reviewed periodically and adjusted to reflect the cost of library taxes paid by an average household in Somerset County. 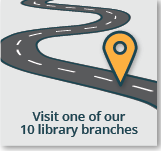 Anyone can visit SCLSNJ branches, attend programs and use library resources. 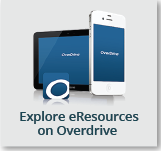 A valid library card is required to borrow materials. Please let us know right away if your library card is lost or stolen so that we can suspend your card and keep anyone else from using it. Remember you are responsible for any items that are checked out on your card. There is no charge for the first replacement of a lost library card. 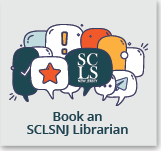 For more information about borrowing items from the library and overdue fines and fees, see Borrowing from SCLSNJ. People who live in the same household may link their cards. This allows people to have access to others’ accounts, for instance, for parents to have access to their children’s accounts, or for spouses to use each other’s cards. Linking requires all participants’ cards to be presented at the same time. When asking for information about reserved or overdue items, or what you have currently checked out, please present your library card or otherwise supply your library card number. A photocopy or a smartphone copy of the barcode also works. When picking up a reserve for another person (who isn’t linked to your card), you must present the other person’s library card or a copy of it. Because the privacy statutes apply to all people, regardless of age, SCLSNJ staff can only tell a parent (or guardian, as appropriate) the number of items their child has checked out, not the specific titles. However, parents are still financially responsible for the material their minor child borrows. Thus, parents may want to carry their child’s card, or a photocopy or smartphone copy, with them. Linked cards are also recommended. Other options for parents include: accompanying their child to the library to select materials together; setting guidelines on the number, types, or subject matter of items a child can borrow; or using the parent’s card when borrowing materials. New Jersey law (NJSA 18A: 73-43.1-3) states that library records which contain the names or other personally identifying details regarding our patrons are confidential, and shall not be disclosed except in limited circumstances. 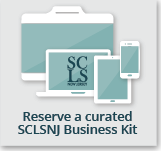 SCLSNJ interprets that to mean information about a borrower’s reading records can only be given to that borrower, and no one else. We will not tell another person whether you even have a library card.